I showed some cars found mostly on neighborhood walks, with a few shot while driving, here. I selected the cars for Part 1 at random … for Part 2, I’ll show some more of my neighborhood finds. I’ll start with an eye catching first generation Nova. Is it really an SS? Even if it is, I’ll assume this is not an original color offering. A pair of 1500 Spitfires. Time and UV haven’t been kind to the bumpers on the newer one, but the Minilite wheels and larger-than-the-OEM-155-13 tires, look nice. The yellow Jeepster was a one-time sight. The newer Jeepster Commando is a long-time resident. Not sure if it’s a daily driver, but it’s moved regularly. I photographed it just fifty or so feet from the pink Nova, and half a block away from the Tesla Model 3 in Part 1. 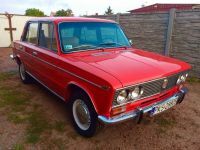 It’s a particularly interesting block, which also frequently hosts a BMW 2000CS, similarly patina’ed as the Jeepster, and another car I’ll show later in this post. I mentioned in Part 1 that none of these pictures were taken at car shows. But we do have a few hot rod gatherings, plus a large annual Woodies event, and I also frequently see cars associated with the annual Monterey Historic races or concours, which take place 40 miles down the road. These next photos were all snapped close to home, in the wild as it were. not at any events. This Flathead coupe is a fairly regular sight – and sound – on the street here. I don’t know if it’s something about their restrictive intake and/or exhaust, by modern standards, but I really like the sound of a Ford V8. This one – not a Flathead – wasn’t so quiet. This ’34 Ford (?) just looked so right in front of the card room. I didn’t cross over to see what was under the hood. The last picture in this sequence, of the Flathead Roadster (and yet another Gen2 Prius pairing), is directly across the street from where the Jeepster Commando usually parks, but I don’t think it’s the same owner. Other than the wheels, an unmolested ’55 Chevy. I suspect more four door sedans of the Tri-5 era have survived closer to stock, than two doors. Well, I would say these two are perhaps ringers. I did catch them curbside and not at a real car show, but they were clearly brought into town for our monthly Friday night street party, which features music, dancers, open art galleries … though typically not motor vehicles. But both came under their own power, or at least left under power, as I saw and heard them drive away as dusk fell. The upper car, Big Bertha, is based on a Seagrave fire truck. Everything about it is super-sized. I have seen Big Bertha chugging around town a few times since I took these pictures. The lower car, the Blown Ranger, has a V12 Fairchild Ranger aircraft engine. it’s not exactly small either. This Trabant is another regular sight – it lives just a few blocks from me, and I’ve seen it in a few places around town, but this is the only time I’ve caught it in traffic. In afternoon Hwy 1 rush hour, it had no problem keeping up. Sometimes I think we have almost as many Amazons (Volvo 122S) in town as 240’s. I like the way the V70’s hoodline curves echo the 122’s design, 40 years older. in my opinion, neither car fits the “boxy Volvo” stereotype. The green wagon is a little newer than my parents’ gray 1964 wagon, which I learned to drive in, but it has similar wing mirrors. Perhaps also a UK foreign delivery like my folks’ car was. This PV544 is the same color as the one my parents owned when I was young, before they bought the 122S wagon. Could it be the same car? We only lived about 100 miles away. These Volvos aren’t boxy either. I liked this lineup with the Cadillac and Fox Mustang – both comparative rarities around here, though slightly more common than Volvo 544’s. More Swedes – or at least Swedish-inspired. I guess these aren’t exactly curbside, but one of the big attractions in my town is a seaside amusement park, with these Saab 900 lookalike Dodg’em cars. I’ve only seen this Plymouth the one time. A ’65? I’m not usually a fan of whitewalls, but combined with the dog dish hubcaps, they look right on a four door. And it’s presumably a V8, not a Slant 6. Looks like a nice car. Relax, CC’ers … I just threw this in for some comic relief. Post Diesel-gate humor. Our neighbor’s CX Break was his daily driver for a while. I haven’t seen it (or heard it – it’s a fairly clattery diesel) lately; he typically alternates between a Saab wagon and a DS21. The lighting made it difficult to capture this scene I saw walking home from a dentist appointment. A Datsun 510, Dodge Power Wagon, and a Adventure Wagon (I think) Vanagon hightop. This Ghia is a daily driver, advertising a local business. I briefly worked next door to that business, and saw it pull in and leave almost every day. Thanks for joining me on a neighborhood CC stroll. I’ll wrap up with a sighting that was a little further from home, but still within our city limits. I suspect this was a random pairing, found in a small strip mall parking lot when I was picking up some plumbing parts that Home Depot didn’t stock. Seen by itself, this Raptor doesn’t seem huge compared to the 3/4 ton crew cab pickups that are everywhere around here, but it certainly towers over the fuselage Fury. DMAN, Your neighborhood is far more interesting than mine! There’s something about the 544 that triggers a well faded memory from my very early childhood. The shape was used by some American post-war cars and probably some friends of my family parked these in our driveway. I don’t recall exactly, but the shape rings some bells. Dad had a 544 for his commuting car in the late 1960’s. The longest gear shift lever that I had ever seen before! A most enjoyable visual treat! That WAS Part 2 … but I can probably get anough material for a Part 3 soon. There’s a nice 1960’s GM product in the alley behind my house recently, which I should capture before it disappears. Not trying to be sarcastic. Tiny i-phone key, no reading glasses……. That Ciera looks like an International Series. Yes, it had the flag badge. 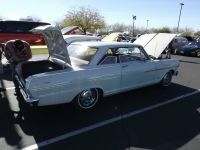 On the “Plymouths” the first is a 65 Belvedere (the 1 year mid-size version of the body that had been the Fury in 62-64). But that second Plymouth is actually a 69 Chrysler 300 convertible. I like those 69-70 fuselage convertibles a lot. The convertible top seems to fix many of the visual shortcomings of the fusey coupes. When I was a little kid a neighbor across the street was an exec for Dana Corporation and occasionally drove home what he called test cars. 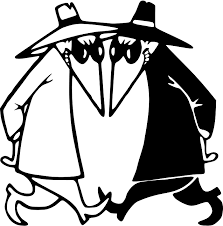 One evening I saw a black Volvo PV544 in his driveway and was stumped. My first guess was that this was what VWs had looked like before they became modern. Wrong, as it turned out. It was the first time I ever heard of Volvo. 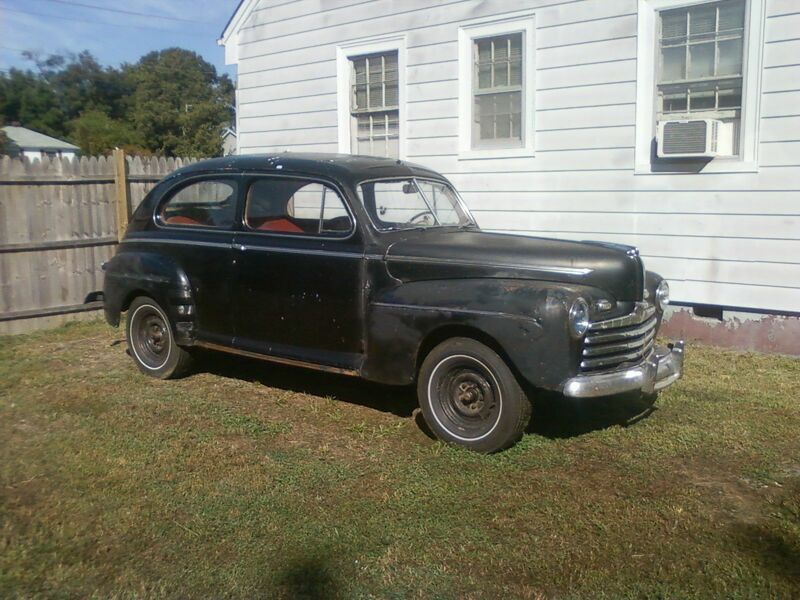 It looked like something out of the 40s (an idea confirmed once I understood what a 1946-48 Ford looked like). Lastly, I miss a world where Triumph Spitfires were fairly common. In Re:Miss a world where Triumph Spitfires where fairly common.. I do too. As a kid in the mid 60’s,one of my neighbors had a light blue Spitfire, early 60’s I am guessing and I thought it was the coolest car ever! Then as an18 year old, my girlfriends brother came home from Viet Nam and went a bit car crazy, Bought a TR4 but traded that for a TR6. Drove both myself. The TR6 WAS AWESOME!! he eventually traded that in for a Red 1970 Mach I. It too was cool, but those Triumphs where unforgettable! That wonderful exhaust sound at full throttle, and that “go-cart” like steering was hard to beat. There’s something about the sound of a small straight six. Someone in the next block has an R34 Skyline sedan (a used import), and I can always tell when he’s going past. Hah, my 53 year old memories got the ‘65 right. I was 8 turning 9 that year and I have a lot of solid automotive trivia from 1965 embedded in my brain; vertical stacked lights on the Fords, the fastback Mustang, and the refreshed wheels and grill of the Volvo 122S first and foremost. JP, I should have guessed you’d be the one to correct me on the Chrysler. By 1969 I was heavily into 2002 and 911 fantasies, with maybe a seasoning of domestic Z28, but not really any full size Mopar love. As for the Volvo/Dana connection, I don’t know about the 544, but I know for sure that the 122 used Dana rear axles. The wagons had a heavier duty rear end than the sedan, with different axle ratio and suspension … supposedly the diff was common to Studebaker wagons. In general, the 1960’s Volvo’s used an interesting blend of British, German and American components. Some very contrasting cars there thanx for the tour, I like the CX wagon but you knew that already, injector pump diesels are noisy mine is common rail and fairly quiet but the diesel Xsara I gave my daughter has a lovely clatter when it fires up cold. 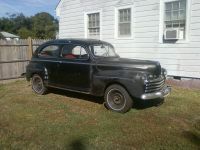 Four door tri fives here in stock form are rare we didnt get the other body styles new so what we did have got hotrodded. I’ll never get tired of seeing Tri-Fives out in the wild. The wheels lead me to believe the owner’s had a little fun underneath. Wow, I am really impressed with your town. I know California has a rich car culture, it’s neat to see it on the streets. I’m jealous of that, and the weather (but still wouldn’t want to live in CA! Besides, I couldn’t afford it). The Chevy II is a 63, I’m pretty sure, and it was available with an SS package (but not a V8). Color is definitely not original nor is the two-tone treatment. 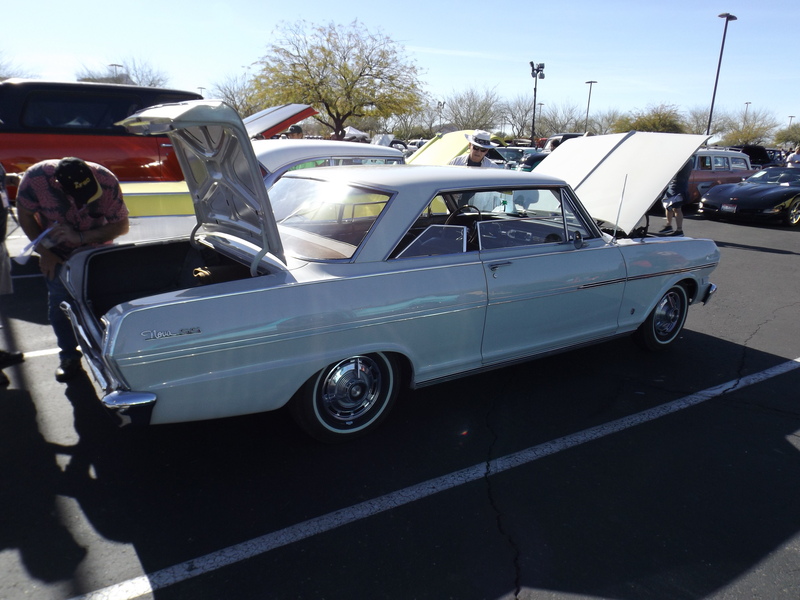 Below is a 63 SS I spotted at an AZ auction. It’s a CA car, too. Trabant is very cool. I wonder if it has its original engine or a transplanted modern engine. That would make daily driving it a lot more practical. The Trabant seems fairly stock, at least the engine is definitely a two-stroke and doesn’t sound as mechanically quiet or smooth as what I would expect from a ‘70’s motorcycle (Suzuki GT750 comes to mind) swap. By the way, I took that picture in traffic a few years ago, and one can see the California temporary registration sticker in the rear window. I remember now that I saw the car parked and chatted with the owner briefly, just this spring, and it still had German plates (only). She told me she has gotten comments from cops, but all friendly and curious about the car, and no citations. I seriously doubt a Trabant would ever be able to pass the smog test, assuming it does in fact have its stock two stroke engine, unless it’s old enough to be exempt. I have no idea what year that car is, since the Communists didn’t really do annual styling changes. But I suspect that explains the temporary registration sticker — the owner paid the registration fees and was given that sticker, but never got it to pass smog (or didn’t even bother to get it tested knowing it would likely fail) and thus was never issued plates. I just have to wonder what the reaction at the DMV was when the owner came in to register a Trabant. I’m guessing it’s quite likely this is the only one they’ve seen. Would that Chevy II have been one of those ladies’ cosmetic company cars (name escapes me, always puke pink), with the black added to make it less obvious? That is one heck of a neighborhood automotively speaking. Wow. I think you could make a really nice Spitfire out of the two of those. I love the Trabant, woodies and hot rods. A friend of mine had a diesel Xsara as a driver here in Canada for a while. Such smooth cars. Having spent quite a bit of time in Santa Cruz, I’m not surprised at what you’ve found. But I’m glad you’re sharing them. It’s an automotive Pandora’s box. Thanks Paul. Did you catch the partially unclothed xB photo, in Part 1? Really like that flathead 5 window coupe. The builder had an interesting way to deal with the frame. Model A frames are thin and unattractive looking, which is why most cars like this use a 1932 Ford frame which has a deeper swooping section and is much prettier. The Model T roadster 3 photos down has one. Anyway on the coupe they left the running board apron in place. Don’t know if I’ve ever noticed a rod done that way, not sure if I prefer that or not but that’s hot rods for you. Beautiful car and a fine selection overall. Classic MAD magazine – Spy Vs. Spy was always great. Well then… This is quite the automotive collage. The only thing I have to compare it with was when, on a lazy Sunday afternoon, I spotted a 1967 Pontiac GTO, 1963 Ferrari GTO, an early-70s Maserati Merak, a 1964 Studebaker Avanti, and a 1959 Cadillac Eldorado within the same general area in Palm Beach. Great shots – especially the old Volvos. When I was a kid in the late ‘60’s – early ‘70’s, the 122 was a common sight, and you saw the occasional 544 as well. I wasn’t quite sure what to think of them – to me they looked more like an overgrown VW Bug, since the bumpers have a very similar look. It wasn’t until I was older that I got the Ford connection. The Belvedere and the Chevy II were also a common sight (but definitely NOT in pink). Big Bertha is awesome. It looks like something out of a cartoon, and it would be quite a buzz tooling around town in such a huge, outlandish beast. Finally, the Trabant. Not exactly something for my dream garage, but don’t forget that in their heyday the average East European would have appreciated having any car, even a slow, noisy, smoky Trabant. It must have been a surprise to see one in the plastic, and I’d likely smile if I ever saw one…but that would be it. Pretty cool cars for Santa Cruz. Just in my 5 block area here in Concord I have photograph a bunch. Some are shy and I usually see them sans camera like the 1960 black Impala. However, I saw a car today I had never seen before in my life. It isn’t even listed here under European cars. I was driving down the main boulevard and at a cross street I passed this red car. I thought it was an older Toyota till I passed the front of the car. No way one is stopping at 9:00 am but then I knew I had no idea what it was. Darn , I won’t see that again. A mile down the road I am in the lane to go onto 680 and what pulls up next to me on the right? THE car. Now I knew what it was because among all the white oval European stickers on the back window it also said 1975 LADA. Once again no camera but I know where it came from so now I need to go on the hunt. It seems to be a garaged car since it was very clean exactly like this one. Great find, but that’s a Polski Fiat, not a Lada. 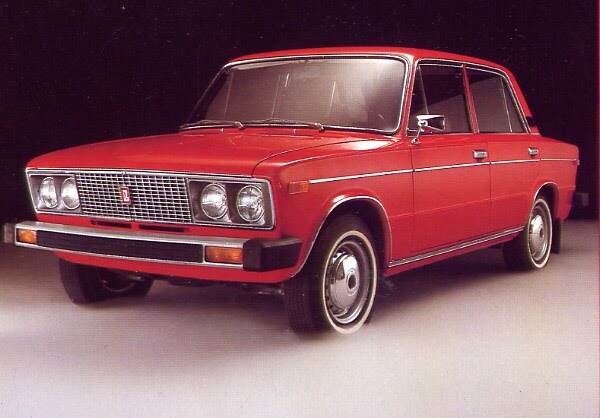 The Polski Fiat used the Fiat 125 body, which is somewhat different from the Fiat 124, which is what the Lada was. The front end with quad headlights is definitely from a 125. Why they would have a Lada sticker on the back is a mystery. The Polski 125 was of course very common in Poland, which is what the license plate shows its from. Just want to make sure that you know that picture I found on the web as I looked under 1975 Lada based on the rear window decal he had. That picture matched. I’ll drive down the street it came from to see if I can locate it. How many of these could possibly be on the West Coast. Aha! They both share the same basic body middle section, so they’re easy to mix up. The front end is what is most different between them. The 124-based Ladas that came into Canada starting in 1978 had a quad light front end. I’m pretty sure various Soviet and European versions did as well. Aha again! That’s coming back to me again. While I was reading this post yesterday I had a similar thought — I could probably put together a similar collection of old cars from ones I’ve photographed around my own neighborhood in the suburbs of Sacramento. Northern California really is a treasure trove of old cars, albeit there’s nothing in my neighborhood as interesting as a Trabant or Citroen or the Lada you found, though (I used to often see someone driving around town in a 2CV, but I haven’t seen it in years). But there is a Studebaker and a Nash Metropolitan.